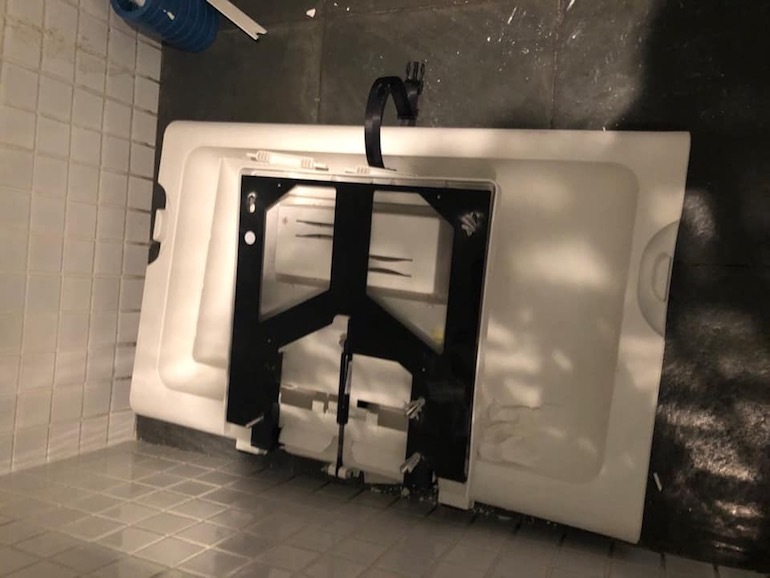 A Sydney Mum has shared her story of a change table crashing from the wall badly injuring her son who was lying on it. She warns that other parents and carers should be mindful to prevent a potentially more devastating incident, and further questions why nobody has responsibility for ensuring this equipment is safe. 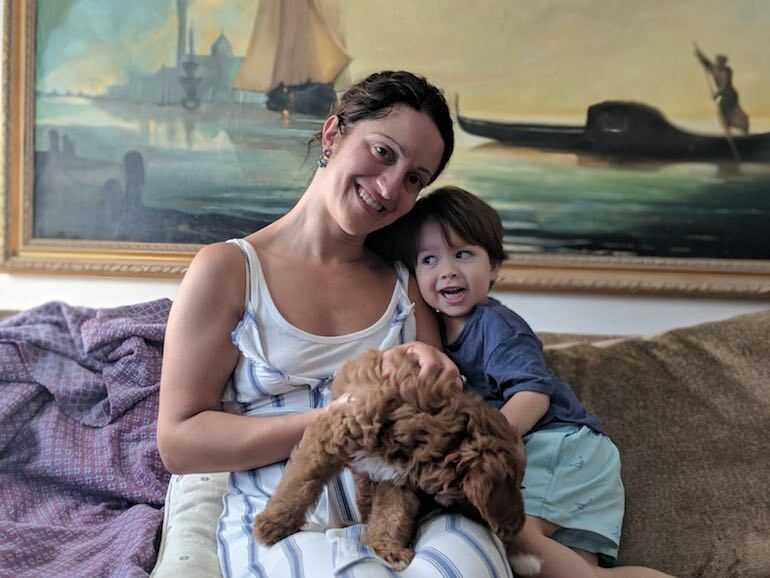 Rene Cadey took to Facebook this week to caution friends and family after a heart-stopping incident with her son, Louis. She called the post ‘Not so Family Friendly Venues’. The post was the result of an accident which occurred at the Woolwich Pier Hotel when she was using the infant change station at the venue. Rene shared her story with Mum Central – and this is what occurred. Like many mums before her, Rene peacefully changed her sons nappy and then moved slightly to wipe her hands. As she stepped back, the change station and its mount, with Louis still lying on it, fell away from the wall. A nearby friend quickly assisted her in moving the heavy unit off her son. Louis had landed on his stomach with his head to one side, petrifying-ly hitting his left temple on the floor. The force of the contact was exacerbated by the weight and height of the change table on top of him. The fallen change unit as photographed after the event. Image (C) via Rene Cadey. Once freed, after a few terrifying moments of silence, Louis responded and began to cry hysterically. Paramedics were immediately called to assess the child and Louis was taken to the Paedeatric Emergency Room at Royal North Shore Hospital. It was under examination at the Hospital and after cleaning the blood that it was discovered that Louis had further been struck by the table on the back of his head in two places. He was already showing a nasty bump and doctors were questioning internal head injuries. As with standard head injuries procedures, Louis was monitored for the next five hours. Both mum Rene and Louis were relieved to be discharged after it was confirmed that he had not sustained any brain or spinal damage. Who is responsible? Apparently nobody! Safely home and immeasurably relieved, Rene begun to question the incident and how it could possibly have occurred. 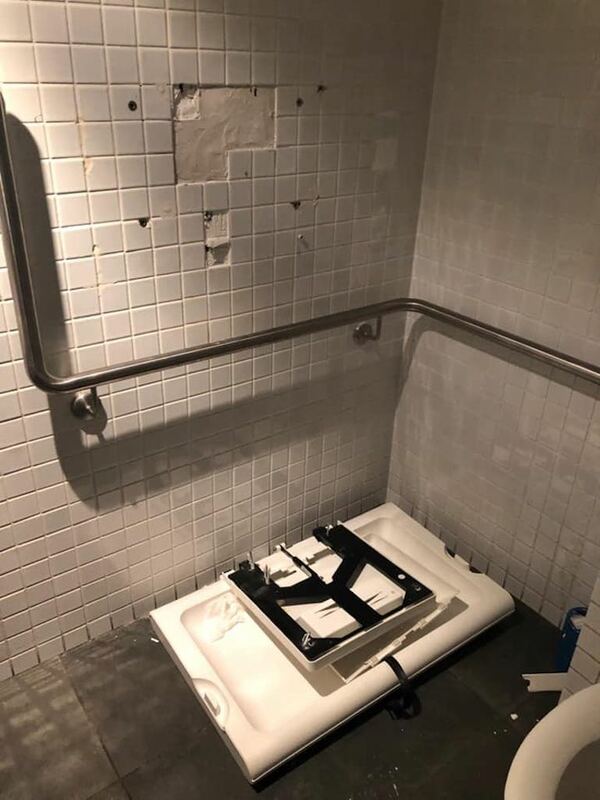 In following up the incident, Rene has been advised that neither the owners of the hotel nor the supplier and installer of the change table, Davidson Washrooms, accept any responsibility for what has happened – yet it has been reported to their insurance companies. 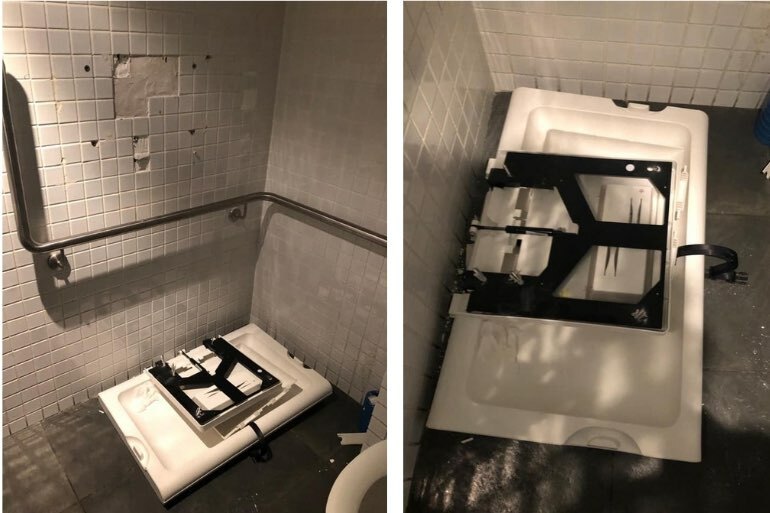 Davidson Washrooms has replied to Rene saying ‘as there are no cameras in the bathroom, no one can know what really happened.’ Despite that they install and supply the equipment they have no ongoing responsibility to the condition and safety of the table. Mum Rene and two-year old Louis at home. Image via the family. What about other change tables? Rene remains discouraged that neither party holds responsibility for the incident. She is also extremely concerned this lack of responsibility and potential issue is likely to be the same in many venues with a change table, right around Australia. The Woolwich Pier Hotel has declined to have other change tables checked in their many venues across the state despite the near devastating incident. Davidson Washrooms has not indicated they will retrospectively check installed change tables either. While Rene continues to bring awareness to this lack of responsibility she makes the following recommendation that parents should always check (to the best of their ability) the condition and installation of a change table before placing their little one upon it. Parents and carers please ALWAYS take a moment to check the condition of a public infant change station. Louis is now recovered from his ordeal. His family are relieved that he did not sustain worse injuries from the incident and hope that the sharing of their story will encourage all venues and suppliers of change tables to check their existing equipment. Mum Central hopes that little Louis continues to enjoy a speedy recovery and that this incident might be the beginning of changes that will hold venues and installers to a higher safety standard. After all, a change table is where we place our most prized possessions – our little ones! This story and images was shared with permission of Rene Cadey.